If every startup were as theoretically profitable as AirBnB, there would be no reason to doubt that the unicorn was real. However, for every AirBnB there is an Evernote. The famed note-taking program probably sits on your desktop. If you’re a writer, or any kind of content-creator, it’s almost essential, syncing your work automatically to all devices and eliminating the need for post-its from the previous night stuck to your screen. The problem is, most people use the free version of Evernote, and in spite of attempts by the parent company to promote premium membership, take-up has been understandably slow. It’s what you might call the Skype paradox: for many years the Estonian-born VoIP giant was the only calling application most had heard of, and yet it was not making money. Spotify, similarly ubiquitous as a music-streaming service, has trouble ahead, according to some analysts, if it does not find a way of getting more people to invest in its paid services. TransferWise, if you haven’t used it yet, is a fast, easy way of moving money from one country to another. Users save a large amount on the currency-exchange fee a bank would charge. As befits an application that is the brainchild of Taavet Hinrikus and Kristo Käärman, Skype veterans both, TransferWise uses peer-to-peer technology to facilitate transfers. The idea is tremendously simple, and works superbly. TransferWise is not the only player in its market – Transfergo, which originated in Lithuania, is based in Canary Wharf in London these days, and offers a similar service. However, Transferwise is better-known thanks to a major spend on marketing since it was founded in 2011. The company has also spent big on staffing and resources, with over 600 employees in three countries; a new office in Tampa, Florida; and several relocations of its Tallinn premises. All this progress is very impressive whatever way you look at it. However the fact remains that TransferWise is not profitable, something that does not, for the moment, unduly worry Hinrikus and Käärman, according to a recent interview with Business Insider. Hinrikus said to the website, “profitability is something that on a market-by-market basis we’re obviously looking at very carefully. As a business as a whole, we’re happy to be not profitable for a while to come.” Investing for growth, and relying on venture-capital funding continuing, is something practiced successfully by the likes of Uber, but that doesn’t make it any less risky. The consensus on TransferWise is that, with its investment portfolio now including contributions from blue-chip US VCs Andreesen Horowitz and Virgin Group president Sir Richard Branson, the company is reasonably safe from any future problems in the financial markets. Yet the spend-money-to-make-money model has been used by large numbers of Estonian-born startups, which have enjoyed varying success out in the marketplace, as followers of the various difficulties experienced by companies like Fits.me will attest. 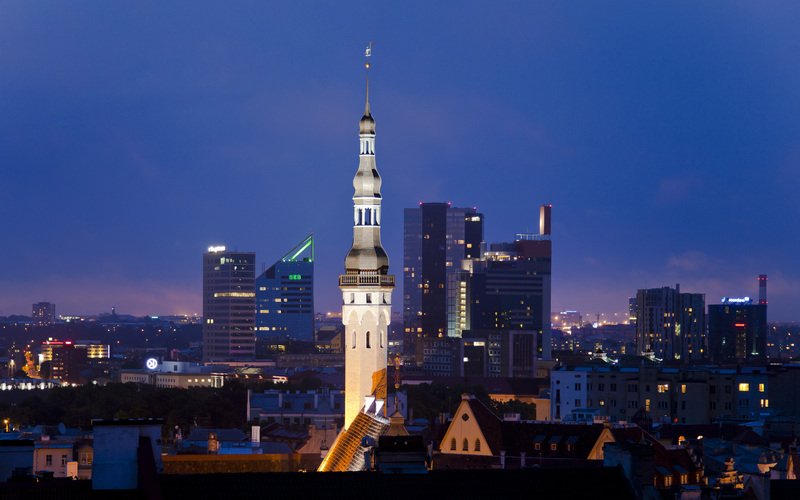 Is Estonia surfing on the crest of a startup wave, or are we admiring a beautiful bubble? This was one of the questions addressed at this year’s edition of Latitude59, northern Europe’s biggest gathering of tech-industry insiders. In the post-industrial surroundings of Tallinn’s recently regenerated Kultuurikätel building, the air was filled with the sound of pitches being made, presentations being completed, and deals being done. While there was scepticism outside of the former factory, inside was a feeling of an industry, and a country, on the rise. All of the tentpole Estonian tech successes of recent years were present – Pipedrive, makers of customer relations management software, were explaining the next stage of their development, alongside newer players like Jobbatical, the application that aims to bring fixed-term international work opportunities to new groups of people, and Teleport, which seeks to demonstrate to a wide audience the possibility for relocation to other cities, while taking the pain out of that process. Jobbatical is far more user-friendly than the clunky international job sites of previous eras, and by catering for people who do not mind changing roles after a fixed-term contract, it could be said that its business model fits with modern times. Meanwhile, Teleport has just launched Zen, which, it says, prepares a moving checklist personalised for each user, with help available from a global team of ‘scouts’. Karoli Hindriks has seen Jobbatical grow from an idea based around friendship groups now routinely spanning multiple continents, to raising a $2m funding round in 2016. She spoke with clarity and vision at the opening of the company’s new Tallinn office about what she wanted to achieve, and was positive about the future of the tech industry, preferring to take a global view rather than focus solely on Estonia, in the spirit of the application Jobbatical has created. “There’s a lot of discussion about whether there’s a bubble in Silicon Valley. I was talking to someone on the plane to San Francisco who said she’d bought a house for $500,000 nine years ago that’s now valued at $3.5 million, so I think there’s something going on there. But I’m totally a fan of South-East Asia, and we totally underestimate what’s going on there. I think we’ll see many more unicorns coming from South-East Asia, and many more people from the US and from Europe will start joining those companies there.” This shift in the global tech talent base, were it to come into effect, would be of huge benefit both to Jobbatical, which has given many people from Europe, North America and South America the chance to work in hitherto unfamiliar environments such as Singapore. The company, like Teleport (which hosts some Jobbatical advertisements within its own application), is making a bet on mobility among knowledge-workers continuing to increase. “I think there are bubbles in the world,” Hindriks said, “but I don’t think there’s a global bubble in the tech scene. I think the scene had been quite centralised in the Silicon Valley area, but if you look at where the funding is going, a lot of it is going to China, Australia or Singapore.” The key, as Hindriks sees it, is to create a startup that is ready for the future, and that takes into account not just where potential profits are now, but where they will be in years to come. Investors are staking increasing amounts of money on the Estonian tech industry’s future – and a visit to Latitude59, although it will not allay fears of what will happen in a future global financial crisis, offered up enough substance to make an observer believe that the road ahead might be bright.